When I first began as a head of school I got in touch with someone who helped arrange mentors for new principals. After a short while, I was assigned an experienced mentor from a school on the other side of the country. He agreed to help me as a favor, and, for a while we met once weekly on the phone and discussed many of the challenges and specifics of my new job. I found those conversations useful in terms of getting some meaningful advice and guidance from a seasoned pro. I also was comforted to learn that many of my challenges were commonplace and shared by a large percentage of my colleagues. Predictably, as the school year progressed and his schedule became increasingly more filled, our time together dwindled to the point that the relationship had practically ended on its own. At that point I felt like I had no one that I could turn to in order to unburden myself and get counsel. Why is a good mentor so important? For starters, mentors help others find their way. No matter how many leadership books you read or blogs you subscribe to, there’s a dynamic element to leadership that no text can fully describe or account for. The right mentors have been there, done that, and can use stories of their experiences to offer direction and clarity. For many new leaders, their positions feel like a journey through a garden maze in which it’s oftentimes difficult if not impossible to navigate from their ground-level perspective. A good mentor can position himself above the tall shrubs, as it were, and point their protégé in the right direction. Mentors come in all shapes and sizes. Sometimes, you can find a mentor within your new organization, ideally someone who has already done what you’re now doing. By knowing the company well, the mentor can help you more quickly understand the new culture and its practices as you adjust to your new responsibilities and environment. He or she can help you translate terms and policies unique to your new office while helping you steer clear of potential landmines and other obstacles. But not every mentor comes from within. 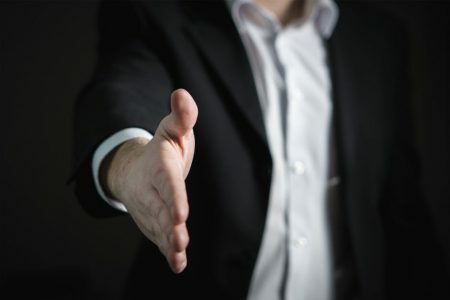 For some people, like a new CEO, it may be easier to look elsewhere for someone who has the requisite experience and can keep concerns and insecurities confidential. In such cases, it may behoove a new leader to find multiple mentors, each one offering something unique and meaningful to help them grow (such as in-house knowledge and executive experience, as detailed above). Regardless of how many mentors you choose to connect with, it’s most important to find the right kind of person to confide in and seek guidance from. The following list of strategies can help you pair up properly. Find the right person for the need, not the relationship – In a similar sense, a mentoring relationship is more about the mentoring and less about the actual relationship. While the relationship is certainly important, and will motivate you to want to get together with your mentor and hear what he/she has to say, the actual substance of his/her words is most critical, not the pleasant time spent over coffee. Be flexible in where and how you meet – An early morning coffee at Starbucks may be your preference, but that’s not always going to work, especially if you and your mentor work in different places. Again, the key thing is the “who.” Make the where and how revolve around what works best for the mentor. Is he/she a good storyteller? – Mentorship can often be about advice, but it need not be. Sometimes, the mentor will not have all of the answers that you need. Maybe what you need isn’t answers anyway, but a direction. A mentor who owns a deep set of experiences and can use those to tell rich, meaningful and relevant stories can often do you more good than one who thinks that they have THE solution to every problem.